Troy weight is a system of units of mass that originated in 15th-century England, and is primarily used today in the precious metals industry. Its units are the grain, pennyweight (24 grains), troy ounce (20 pennyweights), and troy pound (12 troy ounces). The grain is the same grain used in the more common avoirdupois system. By contrast, the troy ounce is heavier than the avoirdupois ounce, while the troy pound is lighter than the avoirdupois pound. Troy weight probably takes its name from the French market town of Troyes in France where English merchants traded at least as early as the early 9th century. The name "troy" is first attested in 1390, describing the weight of a platter, in an account of the travels in Europe of the Earl of Derby. Charles Moore Watson (1844–1916) proposes an alternative etymology: The Assize of Weights and Measures (also known as Tractatus de Ponderibus et Mensuris), one of the statutes of uncertain date from the reign of either Henry III or Edward I, thus before 1307, specifies "troni ponderacionem"—which the Public Record Commissioners translate as "troy weight". The word "troni" refers to markets. Watson finds the dialect word "troi", meaning a balance in Wright's Dialect Dictionary. Troy weight referred to the tower system; the earliest reference to the modern troy weights is in 1414. Many aspects of the troy weight system were indirectly derived from the Roman monetary system. The Romans used bronze bars of varying weights as currency. An aes grave ("heavy bronze") weighed one pound. One twelfth of an aes grave was called an uncia, or in English, an "ounce". 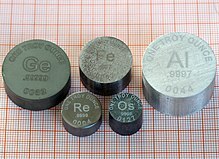 Before the adoption of the metric system, many systems of troy weights were in use in various parts of Europe, among them Holland troy, Paris troy, etc. Their values varied from one another by up to several percentage points. Troy weights were first used in England in the 15th century, and were made official for gold and silver in 1527. The British Imperial system of weights and measures (also known as Imperial units) was established in 1824, prior to which the troy weight system was a subset of pre-Imperial English units. The troy ounce in use today is essentially the same as the British Imperial troy ounce (1824–1971), adopted as an official weight standard for United States coinage by Act of Congress on May 19, 1828. The British Imperial troy ounce (known more commonly simply as the imperial troy ounce) was based on, and virtually identical with, the pre-1824 British troy ounce and the pre-1707 English troy ounce. (1824 was the year the British Imperial system of weights and measures was adopted, 1707 was the year of the Act of Union which created the Kingdom of Great Britain.) Troy ounces have been used in England since about 1400 and the English troy ounce was officially adopted for coinage in 1527. Before that time, various sorts of troy ounces were in use on the continent. The troy ounce and grain were also part of the apothecaries' system. 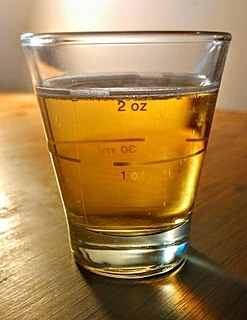 This was long used in medicine, but has now been largely replaced by the metric system (milligrams). The only troy weight in widespread use today is the British Imperial troy ounce and its American counterpart. Both are currently based on a grain of 0.06479891 gram (exact, by definition), with 480 grains to a troy ounce (compared with ​437 1⁄2 grains for an ounce avoirdupois). The British Empire abolished the 12-ounce troy pound in the 19th century, though it has been retained (although rarely used) in the American system. An alternative suggestion is that the weights come from the Muslim domains by way of the Gold Dirhem (47.966 British Imperial grains), in the manner that King Offa's weights were derived from the silver Dirhem (about 45.0 British grains). According to Watson, troy relates to a dialect word troi (balance). Then troy weight is a style of weighing, like auncel or bismar weights, or other kindred methods. The troy weight then refers to weighing of small precious or potent goods, such as bullion and medicines. 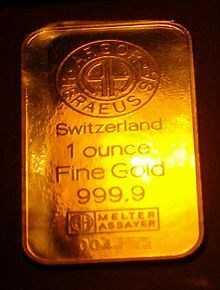 Troy ounces are still often used in precious metal markets in countries that otherwise use International System of Units (SI), except in East Asia. The People's Bank of China, in particular, which has never historically used troy measurements, has begun issuing Gold Pandas minted according to SI weights. The troy pound is 5 760 grains (≈ 373.24 g, 12 oz t), while an avoirdupois pound is approximately 21.53% heavier at 7 000 grains (≈ 453.59 g). Because of the International yard and pound agreement, one troy ounce (oz t) equals exactly 31.103 476 8 grams. It also equals 1.097 142 86 avoirdupois ounces, or exactly ​192⁄175, about 10% larger. An avoirdupois pound also equals 7,000 grains (the international yard and pound agreement did not change the grain values of non-metric units). The pennyweight symbol is dwt. There are 24 grains in 1 dwt, and 20 dwt in one troy ounce. Because there were 12 troy ounces in the old troy pound, there would have been 240 pennyweights to the pound—the basis of the fact that the old British pound sterling of currency contained 240 pence. (However, prior to 1526, English pound sterling was based on the tower pound, which is ​15⁄16 of a troy pound.) The d in dwt stands for denarius, the ancient Roman coin that equates loosely to a penny. The symbol d for penny can be recognized in the notation for British pre-decimal pennies, in which pounds, shillings, and pence were indicated using the symbols £, s, and d, respectively. For example, £6 11s 8d indicated six pounds, eleven shillings, and eight pence. Mint weights, also known as moneyers' weights were legalised by Act of Parliament dated 17 July 1649 entitled An Act touching the monies and coins of England. A grain is 20 mites, a mite is 24 droits, a droit is 20 perits, a perit is 24 blanks. In Scotland, the Incorporation of Goldsmiths of the City of Edinburgh used a system in multiples of sixteen. (See Assay-Master's Accounts, 1681–1702, on loan from the Incorporation to the National Archives of Scotland.) Thus, there were 16 drops to the troy ounce, 16 ounces to the troy pound, and 16 pounds to the troy stone. The Scots had several other ways of measuring precious metals and gems, but this was the common usage for gold and silver. The Pound was 7716 British Imperial grains, but after the union, rounded to 7680 BI grains. This divides to 16 ounces, each of 16 drops, each of 30 grains. The rounding makes the ounce and grain equal to the English standard. The Dutch troy system is based on a Mark, of 8 Ounces, the ounce of 20 Engels (pennyweight), the Engel of 32 As. The mark was rated as 3798 Grains, English troy, or 246.084 metric grams. The divisions are identical to the tower system. The troy system was used in the apothecaries' system, but with different further subdivisions. 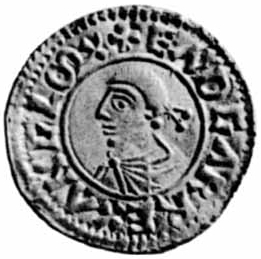 King Offa's currency reform replaced the sceat with the silver penny. This coin was derived from half of a silver dirhem. The weights were then derived by a count of coins, by a mix of Charlemagne and Roman systems. A shilling was set to twelve pence, an ounce to twenty pence, and a pound to twelve ounces or twenty shillings. The penny was quite a lot of money, so weight by coins was not a general practice. Later kings debased the coin, both in weight and fineness. The original pound divided was the tower pound of 5400 grains, but a later pound of 5760 grains displaced it. Where once 240 pence made a tower pound (and 256 make a troy pound), by the time of the United Kingdom Weights and Measures Act of 1824, a troy pound gives 792 silver pence, still minted as such as Maundy Money. Sterling originally referred to the Norman silver penny of the late 11th century. The coin was minted to a fineness of 11 oz, 2 dwt (in the pound), or 925 Millesimal fineness. ^ a b Hallock, William; Wade, Herbert Treadwell (1906). Outlines of the evolution of weights and measures and the metric system. London: The Macmillan company. p. 34. Archived from the original on 5 January 2014. Retrieved 14 August 2012. ^ Smith, L. Toulmin (1894). Expeditions to Prussia and the Holy Land Made by Henry Earl of Derby (afterwards King Henry IV.) in the Years 1390-1 and 1392-3. London: Camden Society. Archived from the original on 3 July 2014. Retrieved 14 August 2012. ^ a b Watson, Charles Moore (1910). British weights and measures as described in the laws of England from Anglo-Saxon times. London: John Murray. p. 82. OCLC 4566577. Archived from the original on 2016-04-01. ^ Wright, Joseph (1898). The English dialect dictionary. 6. Oxford: English Dialect Society. p. 250. OCLC 63381077. ^ Hallock, Wade (1906). Outlines of the evolution of weights and measures and the metric system. The Macmillan company. p. 119. ^ a b Zupko, Ronald Edward (1977). British Weights and Measures: A History from Antiquity to the Seventeenth Century. University of Wisconsin Press. pp. 28–9. ISBN 978-0-299-07340-4. ^ "Troy Ounce". WordNet 3.0, Dictionary.com. Princeton University. Archived from the original on 2008-02-26. Retrieved 2008-01-10. ^ Smith, Adam (1809). An Inquiry Into the Nature and Causes of the Wealth of Nations, Volume 1. 1. London: T. Hamilton. p. 35. Archived from the original on 2017-02-22. The French livre contained, in the time of Charlemagne, a pound, Troyes weight, of silver of a known finess. The fair of Troyes in Champaign was at that time frequented by all the nations of Europe, and the weights and measures of so famous a market were generally known and esteemed. ^ "Börse Frankfurt: Aktien, Kurse, Charts und Nachrichten". www.boerse-frankfurt.de. Archived from the original on 1 November 2015. Retrieved 28 April 2018. ^ "Units of Measure - The Perth Mint". Archived from the original on 2015-09-24. ^ "Do grams or ounces win?". Archived from the original on 2016-05-06. ^ Philological Society (Great Britain) (1891). A new English dictionary on historical principles: founded mainly on the materials collected by the Philological Society. Clarendon Press. p. 675. Archived from the original on 27 June 2014. Retrieved 21 April 2012. ^ Miege, Guy (1738). The Present State of Great Britain and Ireland. J. Brotherton, A. Bettesworth and C. Hitch, G. Strahan, W. Mears, R. Ware, E. Symon, and J. Clark. p. 307. Archived from the original on 28 April 2018. Retrieved 6 June 2017. ^ Kelly, Patric (1835). Universal Cambist. London. The carat (ct), is a unit of mass equal to 200 mg and is used for measuring gemstones and pearls. 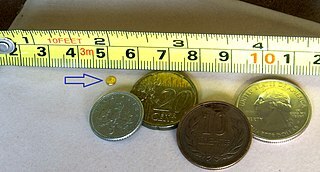 The current definition, sometimes known as the metric carat, was adopted in 1907 at the Fourth General Conference on Weights and Measures, and soon afterwards in many countries around the world. 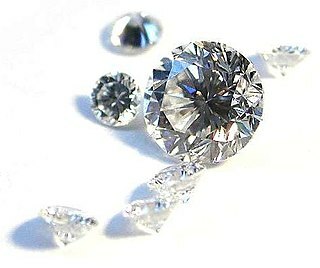 The carat is divisible into one hundred points of two milligrams each. Other subdivisions, and slightly different mass values, have been used in the past in different locations.